Instagram is ubiquitous. Be it in their homes, on trains, buses or even in classrooms; people always strive to check their feed and scroll the new posts of their favorite content creators. Let me guess, you were just like everyone else, laying on your coach doing what everyone else is doing: consuming, but then you got a bright idea: why don’t you become Instagram famous yourself? After all, how hard could it be? Well, sorry to be the one to break it for you, but it isn’t as easy as it seems, and doing it requires a lot of hard work and dedication. Luckily, we’ve compelled a list of useful tips to follow to achieve that goal faster. So, how to become Instagram famous? As mentioned above, becoming Instagram famous isn’t easy. There are many factors to consider: your goal, your ambitions, your privacy, dedication, etc. You have to go through the pros and cons of this industry over a cup of coffee and decide whether it’s your thing or not. Fortunately, we did the heavy lifting for you and prepared an article regarding that very comparison. Check out that article here. As this is a long-term thing, you need to choose something you’re excited about as you’re going to dedicate a lot of time and effort to it. Don’t create a fitness account if you’re a chef. Choose a field in which you can genuinely add value. Even if you’re passionate about a particular thing,butyou lack the talent, you can find a way around that. For example, if you like singing but your shower time songs prove that you won’t be the next Madonna, consider turning that into something positive by making fun of how you sing, or by singing funnily. It’s hard to get followers when you’re just starting out. To solve that, you have several options to consider. Buy followers. 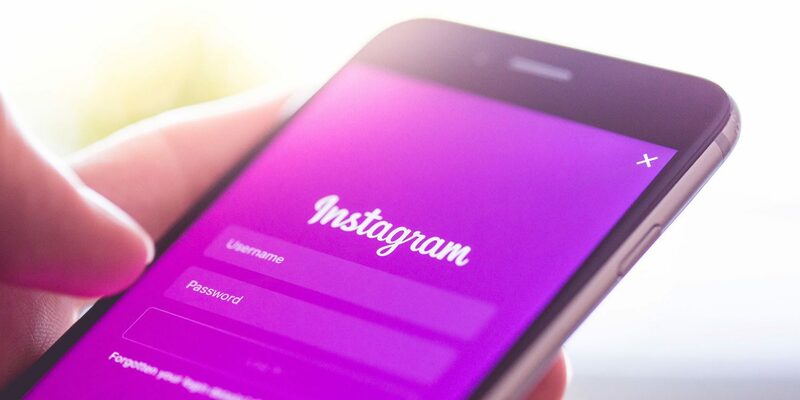 Although it may seem weird, a lot of Instagram users exploit this method to boost their online presence and give an authoritative impression to people. After all, why wouldn’t you follow someone who has hundreds or thousands of followers even though they’re just starting out? That gotta mean something, right? When users open your account, they’d be expecting a bunch of posts expressing your ideas and thoughts. Don’t disappoint them by posting poor quality pictures and useless contents, instead, try to unleash your creativity to give your audience what they deserve. Another tip to consider is posting content that’s relevant to the current season and events. Don’t post hiking pictures during the summer, instead, post beach pictures that transmit good vibes along with suitable captions. You can check out the best Instagram captions to use in 2018, by Gramblast for ideas. You need to stand from the crowd. Don’t be just like any other john doe trying to shine his name. You need to believe that you’re special, you’re not like everyone else. After you believein that; you need to prove it to your followers. What people hate about their Instagram feed is duplicate and similar unoriginal content. Avoid that at all cost and create something that screams your name. When you start your venture towards Instagram fame, you need to analyze your competitors and detect their weaknesses. Once you do that, you’ll be able to get ahead of them by exploring their experience and building over it. You also need to reach out to your Instagram idols and tell them your story as they can of great help by giving you advice and guiding you through your path towards Instagram fame. Ganesh Kolekar is a graduate and geek. He is the man behind keeping the quality of the posts and manages the content part on the website. How To Compare Broadband And Save On Your Monthly Bills?